If you have a Real Estate WordPress website you probably have tried some Real Estate WordPress Plugins. You definitely have some on your site. If we built your site you may have most of the list below on your site… if not every site comes with a couple plugins. I believe Akismet and Hello Dolly. Plugins are add-on applications or programs for your WordPress website. Whenever you think you may need an added functionality to your website and you don’t have the coding skills to build it, or the budget to have it built, you can usually find a plugin that will add the functionality. Often times they are free, but many times they do have a small cost. Usually between $9 and $99. Note: One of the primary advantages of using the self-hosted version of WordPress from WordPress.org is the ability to upload and use plugins on your WordPress site. While it may sound like getting free software that can fulfill the exact need you have for your website is too good to be true… it is not. But it does come with its fair share of dangers. Some plugins are developed for the sole purpose of filling your website with adware or worse a virus. Not all plugins are coded equally. Bad coding can equal a security risk or simply breaking other parts of your website. Some plugins are not compatible with your hosting provider, or your theme, or other plugins you may have on your site. Sometimes plugins are not kept up very well and when WordPress, your Theme, or other plugins update it can break your site. Many plugins do not offer very good support so if you don’t have an idea of how to use it, it could become frustrating. Plugins can put an excessive strain on your hosting and database resources. Kinda like using all the hot water. How many plugins can 1 site handle… depends on the plugins you are using. Not all plugins are created equally. Often times you can get by with the Free version of a plugin… so try it before you buy the premium version. Still want to try plugins for your website? Before you install or activate your first plugin make sure that you have a complete (wordpress and database) back up of your site. Only upload and activate 1 plugin at a time. Once activated check to make sure that your website is still working correctly. That way you will know which plugin is not playing well with your site. Of course you will not know what part of your site the plugin is not working with, that will take technical trouble shooting. Due your Due diligence and research the plugin you are thinking of trying and make sure that it does not have bad reviews. Your best bet is to get your Plugin from 1 of the resources I mention above so that you can check ratings. All of the WordPress plugins listed below have been tested by our team on our own site and should be safe. That is not to say that they may not be incompatible with some part of your website. Try to stick to trusted Plugin Developers. 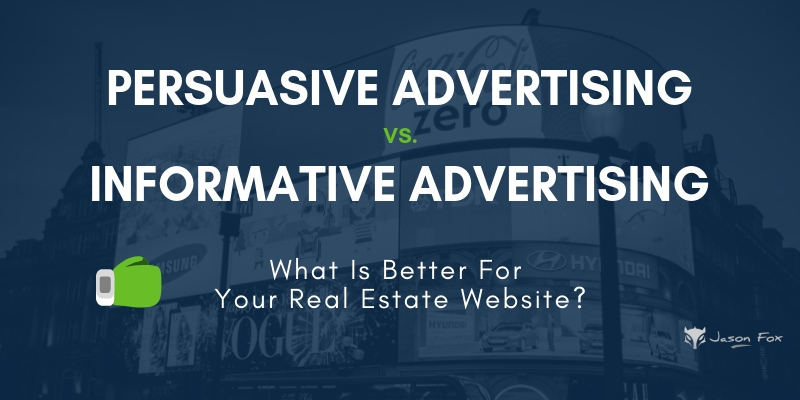 Many site will suggest a handful of MLS Style Real Estate Plugins that seem amazing. I do not suggest them. They do not pull in the feed from your local MLS. That means that you will be required to enter in every single listing by hand, or manually. You will then be responsible for changing their status from Active, Pending, and Sold. IMPRESS Listings is fantastic free plugin that can bolster your Real Estate marketing and save you money. This plugin could be used for a replacement to IDX, although I would recommend using it as a complimentary tool. You can use it to create a library of listings you have sold or showcase a particular niche of homes. You can easily add a single about me page or a complete agent directory into almost any WordPress theme with the IMPress Agents plugin. If using the IMPress Listings plugin, you can connect Employees to Listings. My favorite Free plugin not named Jetpack. Since uploading this plugin to our site we have seen an increase in leads and sales. I am not going to pretend to tell you by how much percentage because there are to many factors that come into play… but it is not a coincidence. First of all this plugin is made by the same people that make Hubspot. They are one of the best Small Business Lead Generation Software providers available and they decided to turn their talents to WordPress Plugins. The plugin offers a beautiful pop-up lead capture, captures all leads on your site, drops them in a CRM in your WordPress dashboard, collects insights based on the email address, and syncs with the top email marketing tools to create an automated drip campaign. You either love or hate Jetpack. It does so much and is 100% free. This plugin is built by WordPress for WordPress and is designed to give you all the little useability, easability, and functionality you might find by using 10’s of 30’s different plugins in 1. After you install this plugin your best bet is to log in to your WordPress Dashboard and click on the “Jetpack” >> “Settings” and take a look at what is available and see what, if any, of the features you would like to use. The definitive word in WordPress SEO is Yoast. WordPress SEO is a tricky thing. You will hear that the WordPress platform is SEO friendly, and it is. Possibly hearing that your Equity or other premium theme is SEO friendly, and it is. They you hear that this plugin is SEO friendly, and it is. Finally I am going to tell you that SEO friendliness will not get your site to rank on the search engines without content. Yoast knows this to and that is why his plugin not only focuses on optimizing your site (on on-page SEO), but also helps you to build SEO friendly content. Contact Form 7 is bar far and away the best free contact form plugin. Integrates with Mailchimp, Aweber, Hubspot, and my favorite theme Avada. This is not the simplest form building plugin to use, but it is not hard to build robust contact forms. 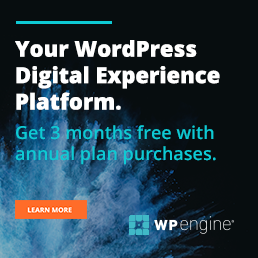 As you probably figured out I use WPEngine for all my hosting needs. Their service includes baked in caching. Because they do so much caching internally there are many caching plugins they do not allow (as you can read about below). The Autoptimize plugin is one that they allow. This plugin can minify and compress your website. 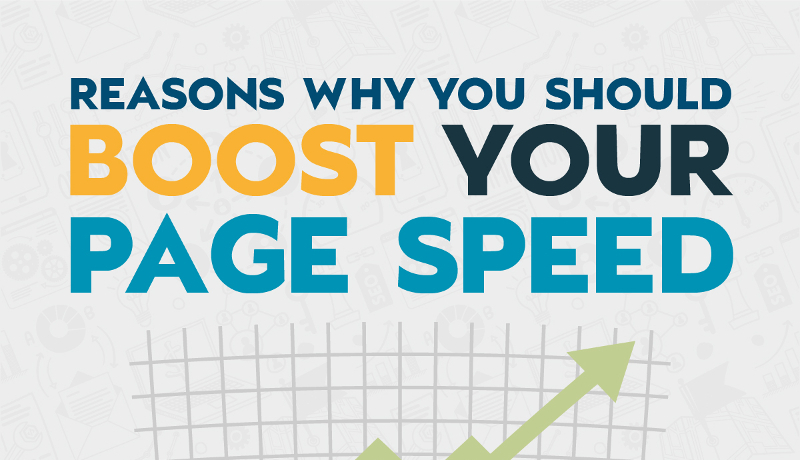 These are good things for speeding up your site. Be careful when setting up this plugin. Only turn on 1 option at a time and then check your website to make sure that nothing was broken. Often times when you minify JS it can break a part of your JS on your site. My friends at Nerdy Nerd Nerds wrote a post on how to set the plugin up here. You can get a nice social sharing feature on the Jetpack plugin, but it is not as nice as the Social Warfare social sharing. I love this plugin because it is simple and it feels lighter and more responsive than Shareaholics. The floating share bar functionality is super cool. It slides out when there are no buttons on the post or page and then slides back in when there are buttons visible. The free version gives you choice of social networks, where you can auto place buttons, floating social share, and share count. And takes about 5 minutes to load and set up. I used to be an Easy Testimonials fan but ran into a situation that Strong Testimonials provided the tools I needed. And have not looked back since. 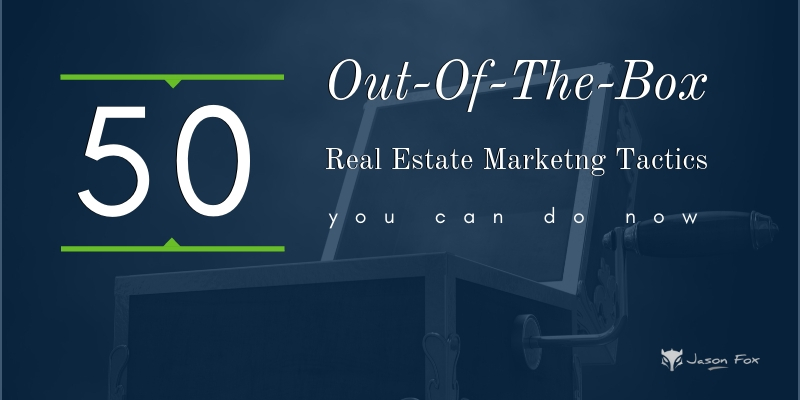 This plugin offers everything that a real estate website needs. You can create a front end form if you want to make it easy for your clients to add reviews directly to your site… otherwise they are very easy to add from the back end. There are multiple different display templates including sliders for the home page and widgets, and a grid or masonry grid for your testimonials page. The layouts are easy to create and style and you can re use the layout multiple times. Akismet comes with every WordPress install for a reason. It is a must. WordPress websites by default allow your readers to comment on your content. Unfortunately spammers, bots, and scammers like to try to take advantage of your website by posting spam, links, and viruses to your comments section. Akismet virtually erases all of that. My Akismet has protected my site from 276,893 spam comments already, this month. In addition to blocking the spam you can also tell it to delete all spam so that you don’t have hundreds of thousands of spammy comments filling up your database. Smush It offers a feature rich image optimization plugin for free. Image optimization is crucial for all websites. It reduces the overall size of the website, which increases the loading speed, which increases the SEO rankings. Olark offers a feature rich Live Chat plugin free. …live chat product allows your team to begin talking immediately to customers visiting your website. Olark does require that you create an account on their website, but again it is free. That is where you can go to customize the look and set up the chat box. This tool will place a chat box on the exterior of your WordPress website and will allow web visitors the ability to start a chat with you. And if you or your team is not available they will be able to leave you a message. Images are bulky and real estate websites often come with many images. Bulky slows down websites with hurts your website user experience and your SEO ability. Pulling images up off your server takes time and resources, lazy loading helps with this. It will not force an image to load until it is needed, saving resources and allowing your website to load faster. IDX Broker is the most used IDX service in the US and has been one of my go to’s for the last 8 years. I have tried every other IDX plugin available and have found that while some providers offer a few more whiz bang features here and there, that no other IDX provider is as reliable with their service and data quality. Previously I was not a huge fan of their plugin, but they released a newer version they call IDX Broker Platinum. That new release has since been updated many times, to correct bugs and work smoother. They also released page templates that are completely “Mobile-First” Responsive design. So no more switching to a Mobile Version of the site. Slider Revolution is an easy to use Slider, Carousel, Hero Image or Video Scene for your WordPress real estate website. You can create as many sliders as you want in any place of your website. I generally use this tool as the above the fold home page hero area, or the primary call to action. Whether you have a single image, a video, or no media assets you can create an hero area that is sure to impress and direct your web traffic to your desired call to action. There really are to many features to list here… just figure if you can dream it you can create it with the visual drag and drop editor. If you want to take your site to lightspeed than you may want to upgrade from Autoptimize to WP Rocket. As you may know I use WP Engine to host all my websites and there are only 2 caching plugins that they will allow on their platform. The best WordPress form creator available. It is easy to use, intuative, adaptive, beautiful, and integrates with most popular tools. If you are looking for an easy and beautiful way to add galleries to your real estate website than look no further than Envira Gallery. You can add a list of local businesses along with their Yelp rating to listings and neighborhood pages. Yelp Widget Pro users are able to display business names, ratings, review counts and profile images in any WordPress sidebar. Think it may be a value add to your website to display the local events? This plugin should give you all you can handle. Do you speak multiple languages, have clients that do, or just want to look like an international player? The Google Language translator gives your site an international flair. You may want to create a Membership style site where you require your visitors to become a member to access your special training material. This is the best plugin I have found for that. We use and our clients use WP Engine Premium WordPress Hosting. We recommend that you use it as well. If you are using this hosting or something similar you will not need any of the popular plugins listed below. Downloaded over a million times for a reason. If you do not have a Premium WordPress hosted website then you need some type of caching plugin. If you are using one of the Big Named shared hosting providers you absolutely need a caching plugin. Real estate WordPress websites are resource heavy and often image heavy. This puts a strain on your hosts server. Caching plugins reduce the stress put on those servers by Caching or storing content that gets loaded often. This helps your site to load quicker for your viewers. Quicker loading times are important for 2 reasons. W3 Total Cache is the best caching plugin available. That being said it is also a bit confusing. There are many tutorials available to teach you how to set it up. When my partner and I started building website, years ago, we used the popular Big Named shared hosting providers. 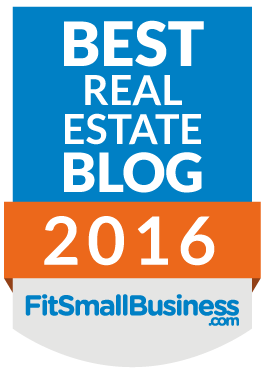 Over the years it is hard to believe how many of those real estate websites were hacked or compromised. Including my partners personal site, that was hacked by someone who left a terrible virus and a splash screen saying that he was a terrorist. Yes, every day real estate agents get hacked. You can not just have a, “that will never happen to me approach” because it can and it will. Now that I have scared the bejeezers out of you… you can protect yourself. Again if you have a Premium WordPress Hosting Provider like WP Engine then you are already protected. Either one of these popular security plugins should keep your website safe and sound. As mentioned above, even real estate agent websites get hacked. The easiest way to do this is with a weak password, or an easy to guess password. This plugin forces you to choose a strong password, or one that is not easy to hack. *You can just force yourself to use strong passwords. In the beginning of this post I talked about taking some precautions before trying plugins; before you install or activate your first plugin make sure that you have a complete (wordpress and database) back up of your site. This is important because sometimes uploading plugins or even updating a current plugin can break your site. If that happens you will want to be able to switch it back quickly. If you have a Premium WordPress Hosting service your site will be auto saved. That may not be good enough. You should do a backup right before you upload or update your plugin. With WP Engine you can do this with a push of a button. Otherwise you will want to use a plugin. Because you can get similar functionality elsewhere without loading your WordPress website full of resource hogging and oft trouble making plugins. A commenting plugin like Disqus seems like a great idea. The problem is that they are mining our sites to sell ads and if you are not careful when setting them up they will post ads on your site. I use the JetPack Commenting feature. These plugins offer a cool feature, but they are database resource hogs. I use the JetPack Related Content feature, Shareaholics also has a related content feature. You may want your visitors to see different sidebar widgets when they visit different pages. You may want a Contact Us form to show in your widgets on most pages, but that seems redundant on your Contact Us page. You can use these plugins to tell your site you would want to hide the Contact Us widget on the Contact Us Page. Both these plugins work well and you may like them better but I like to use the JetPack Widget Visibility option. This plugin is both resource heavy, and if you use the Yoast WordPress SEO plugin I mentioned above it has XML Sitemaps included. It may seem like a cool idea to send your email marketing from your WordPress website, but it is not. I tried it years ago and my site came to a screeching halt. In addition most of your mail will go to your clients spam folder. Plus you just don’t have as many features as you can get from MailChimp. Just use Mailchimp. Or AWeber Email Marketing. Or even Constant Contact, Happy Grasshopper, Emma, or iContact. I hope that you are not looking for a plugin to make your Real Estate website mobile friendly. Most WordPress Themes and ultimately websites that are built today are Responsive. Meaning they respond to different size screens and give a seamless mobile experience for all screens. But if your site is not responsive then plugin will help you get it mobile-friendly. If you are going to style your website using the Styles.css then you can not use the master file. If you upgrade your theme all your custom CSS with disappear. Many themes come with a Custom CSS section… but they are usually a small box somewhere obscure with no line items. This plugin creates a CSS Page that will not disappear when you update and is a full screen with line items. Even gives you warnings if your code is not right. JetPack has a custom CSS setting, but I do not use it because the jetpack plugin disconnects every once in a while. If it does you do not want people to see your site without the proper styling. Buttons play a big part in lead capture and user experience. Contact Us, Sign Up Here, Download This, Read More, etc. If you’re not sure how to make nice looking buttons on your site this plugin is easy to use and works well. Most themes come with built-in short code for building buttons, I just make them with html and CSS, if that sounds foreign to you this plugin is great. Hey really awesome article. The one plugin I wanted to hear about wasn’t listed though… What’s the one that gives you that killer full page banner? Thank you for stopping by. Funny. I have been meaning to add it. The Sumome.com welcome matt. TY for all the outstanding information. I’m the “Web Guy” for a number of realtors and brokers and in the past I’ve used Diverse Solutions IDX plugin. Moving forward, I’m not so sure I’m comfortable to continue with them. When I build websites I do so with a mobile first and SEO first approach. Since page load times on mobile is to be a ranking factor by google, do you know of an IDX plugin that will load reasonably FAST on mobile devices? So far I’ve had little luck with this, but I have had some success using W3 Total Cache with Diverse Solutions. Any suggestions would be appreciated. Peter… I know that IDX Broker gets some bad press for using Subdomains with SEO but that is because all the listings are hosted on their high power servers and not our shared servers and weak WordPress Database. I think theirs load the fastest. I would be grateful if you could point me in the direction of a good plugin that would lend itself to listing international property as I wish to promote property lettings in North Cyprus, Spain, and later Portugal, France and Italy etc. If you could suggest something that would be great, and preferably it is free. Thank you for all of your help so for. Unfortunately, I have no experience with anything outside of the states. If you find something and would like to come back and let us know that would be awesome. Good luck. We’ve recently released Listings WP which may be a good fit for what you require. I believe the plugin has most of what you are looking for. If it is missing something, we’d be happy to work with you to build the desired features. Does this pull listings directly from the MLS or is it reliant on the agent adding each listing manually? Great review! I learned a lot from your post and its very informative. Thanks for sharing. Keep up the good work! A lot of these were not really real estate specific, but the few that were, I appreciated learning about! Cat, they are plugins that I add to most of the real estate websites that I build. Wow! This article was certainly enlightening, I had no idea that so many different plugins existed. I have only had my website up and running for less than a year now but I am trying to fine tune where I could make the most progress and convert the most leads but using a few plugins. I must admit that this list overwhelmed me a little bit. If you experience, for someone that is looking to convert leads (ie, have someone fill out the short form on my site) what plugin would you recommend using to help with those results? Any direction you could give would be greatly appreciated 🙂 Thanks! If lead conversion is what you are after you should invest in Sumo.me. They have a million ways to convert leads for your website. Thanks Bill, I have never built a site for an agent in Europe. I’m looking for a product where the user can input their own property listing. The user will be limited to one or more listings. They can be charged a fee based on different packages (number of properties and length of time. Can I set a listing to expire at a certain time? I’m using Essential Real Estate now and it does all those things, the only problem is it’s difficult for users to navigate ERE’s listing process. I’ve tried so many but they all seem to fall short. Hey Michael. Sorry I have nothing for you. Good luck. Simple Real Estate Pack has been giving me problems, and Local Market Explorer hasn’t been updated in over a year. Do you still trust these plugins? If not, have you spotted any alternatives that you can recommend? I agree. And unfortunately, no I have not seen anything comparable. Bummer. All of these plug ins are helpful but in my opinion back up buddy is very helpful, Thank you. Saiqa, we like back up buddy as well. However, we use and recommend using WP Engine to host your website. They provide a back up of your site every 24 hours for a rolling 30 days that can be reinstated with a push of a button. Hi guys, I know this is not the post to comment this, but, is there a way of implement ‘related posts’ on AMP using just the base plugin?. I mean, the developers explained here but I don’t get how to get it. But we cannot use all at once. This is really a best real estate wordpress plugin analysis. Good Luck. I really enjoyed this post, Lots of great advice on this. thank you for sharing it! Hope you will provide more post.